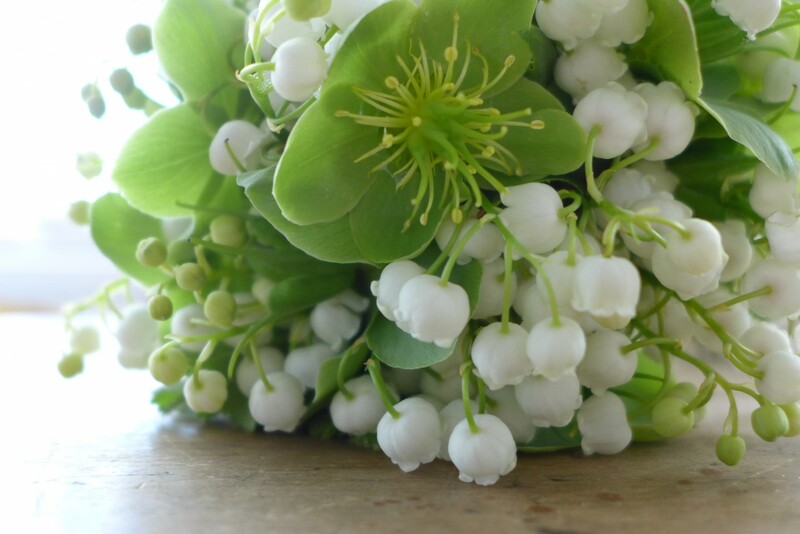 You are here: Home > Lily of the valley. Posted by Lorely on May 26, 2015. 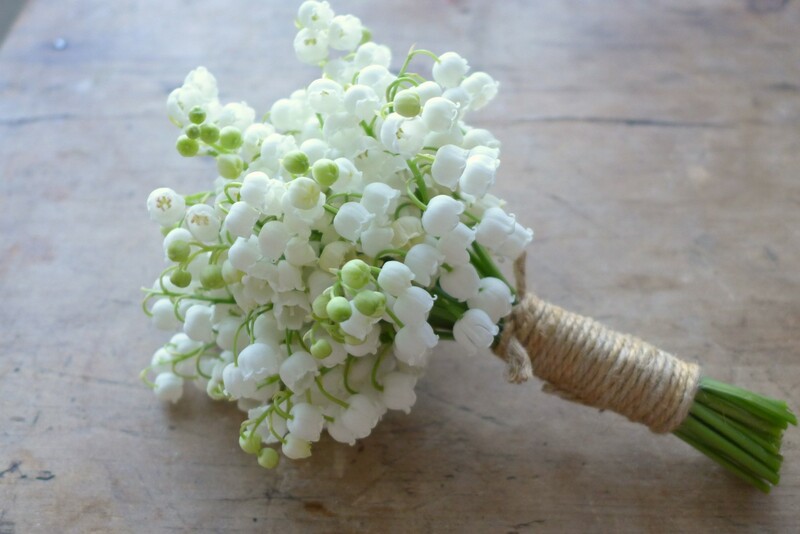 Lily of the valley, with delicate stems of tiny white flowers and beautifully perfumed, one of the most expensive flowers to use in a wedding bouquet, so it is always a pleasure and a treat to create a brides bouquet with them. 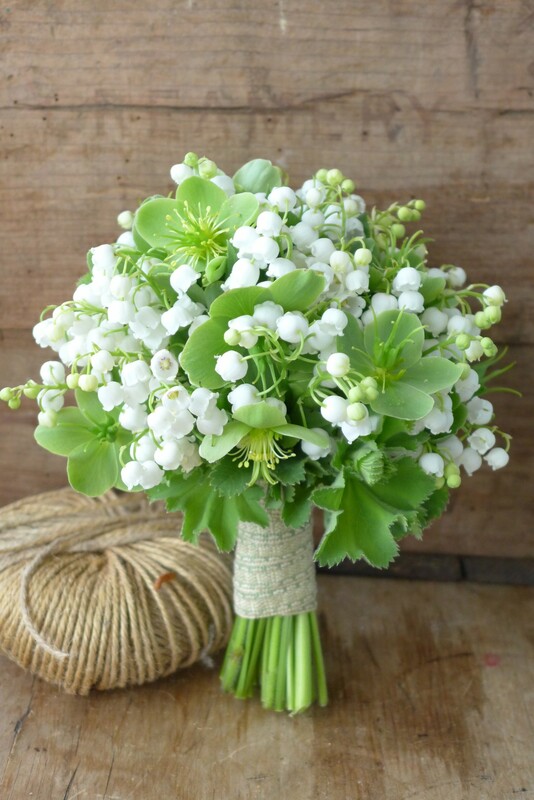 Here they are tied together with lovely lime greens of hellebore and alchemilla mollis. Although now available all year round they somehow seem more perfect in May, when they would traditionally be in season. 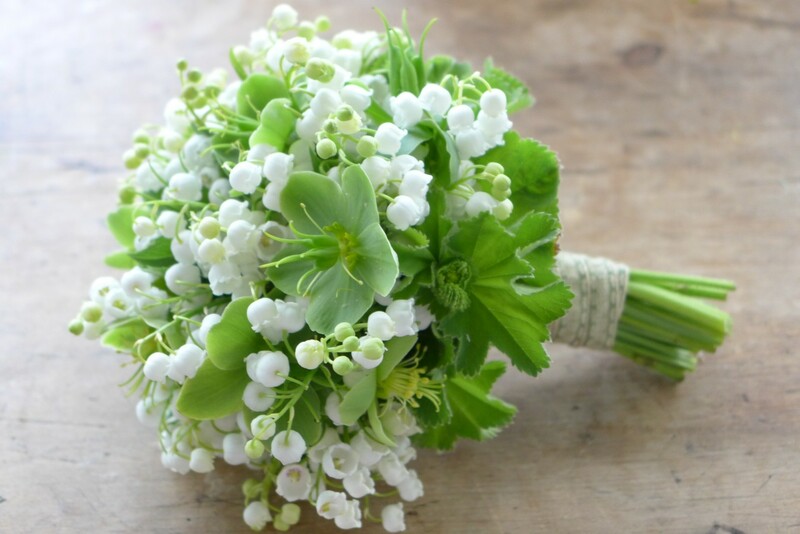 Bridesmaids bouquet, Lily of the valley simply bound in twine.